I have previously written about BuddyFuse web messenger. Yesterday BuddyFuse team have released an addon for Windows Live Messenger. 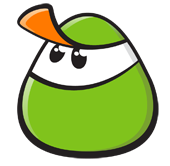 BuddyFuse addon seamlessly integrates Google Talk, Twitter, and the social networking website, Hyves into Windows Live Messenger. In the current version, you can add your accounts from Google, Twitter and Hyves. Once you have added your Google account, all your Google Talk chat contacts will be loaded into Messenger. When your friends are online on Google Talk you can chat with them just like with regular Messenger buddies. Twitter support currently means BuddyFuse can automatically Tweet your Messenger personal message status updates. XMPP/AIM/ICQ and social networks like Facebook will be added to future releases. Ping! 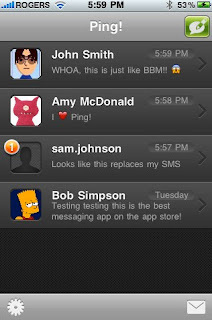 is a instant messaging client for Apple iPhone that looks and feels like the built in iPhone SMS client. It aims to provide free iPhone to iPhone (and iPod Touch over Wi-Fi) messaging. Once you download the free Ping! application, you set up a username, and you are set. You can invite others from within the app over email, letting them know your username, and also set up whether you want push notifications or not. Once you start a conversation, it’s very similar to SMS and it works internationally at no extra cost (aside from your international roaming costs that is). 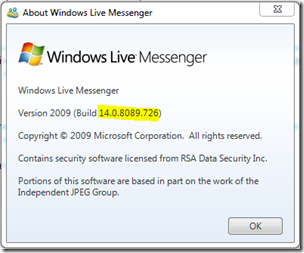 MessengerDiscovery 2.1 Beta, a popular addon for Windows Live Messenger, is now avaliable for beta testing. With this version users now can chat with their Facebook friends inside WLM. Facebook Integration modifies the interface of Messenger with a list of Facebook friends. Double click a contact to open a conversation window, and conversation windows will be opened when you receive a message. There is sounds and alerts to accompany events as well. Digsby, the multi-protocol instant messenger has been updated with a new Facebook Newsfeed and added support for MySpaceIM. It shows the exact same stream that you see on Facebook.com including comments, likes, and photos. It’s also completely interactive so you can post your status, comment on stories, ‘like’ items and even browse through entire photo albums right from the Facebook Infobox. With this new version you can now chat with all your MySpace friends right from Digsby. Just add it as an IM account in Preferences > Accounts. "I have been a huge fan of the IM world. It has sped up and simplified our way of communication in such a way that even the long distance between Kolkata and California seems so small. Personally I have been a big addict of the legendary Google Chat. You can do lot of interesting stuff with Google Talk like Chat with friends and colleagues, get alert notifications, save bookmarks to Delicious, manage web calendars, set reminders, write blogs, and so on. Such features can be easily integrated into Google Talk through ‘bots’ which, in simple English, are like virtual friends who are online 24×7 and will always respond with a smile to your questions or requests. The bots work on platforms like Jabber and are coded to generate automatic response to any user query. 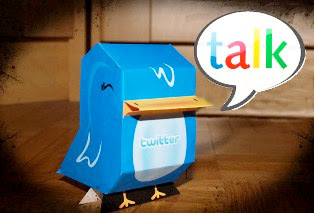 After WATBlog reviewed 5 best Twitter clients, I thought of compiling a list of 5 best Twitter bots for Google Talk enthusiasts..."
Continue reading : 5 Amazing Twitter Bots For Gtalk Fans! BerryBuzz extends your default Blackberry alert system. BerryBuzz allows you to customize the LED color for many alert types including instant messages. It keeps the LED flashing for longer than the default 15 minutes and it will repeat alerts until acknowledged so you will never miss an alert again. BerryBuzz supports ICQ, AOL Instant Messenger, Windows Live Messenger, Google Talk, Yahoo! Messenger and Facebook networks. # When multiple alerts are active at the same time, every color will flash in a repeating pattern. 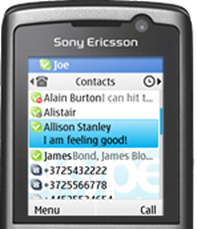 # Customizable vibrate for incoming calls. Vibrates while ringing. 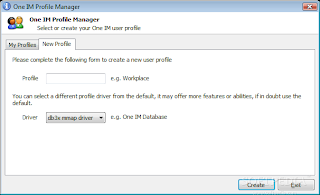 Displaying Invisible Users on Windows Live Messenger is NOT Possible ! "Some of you have asked Max Messenger whether there is a possibility to display who in your contacts is “online” but has set their status to “Appear offline”. There is no such possibility! Not even using an additional program or via some websites. Those sites claim that it is possible. But that’s not true! They are phishing websites that want to get to know your Messenger sign-in credentials or just want to pull your money out of your pocket. Don’t fall for such tricks! A blocked contact sees you as online e.g. if you have added the chat window/status in your blog or website. If you don’t want this to be displayed, remove..."
This hack from Messenger Stuff would make your personal message in MSN/ Windows Live Messenger significantly bigger on your contacts end. 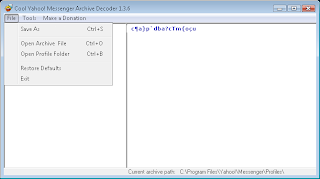 It is a simple unicode exploit in the personal message parser used in Messenger. Download this Rich Text Format file (100% safe), edit the text, emoticons and whatever else within it (excluding the odd characters) and paste it into your personal message. Your contacts should see the change on their contact list (but you won't). In Windows Live Messenger 2009 on Windows Vista and Windows 7, Aero is used for drawing the window frames of your contact list and conversation (chat) windows. You want the original Messenger frame back, but you don’t want to disable Aero completely in Windows? Messenger Aero Switcher lets you disable Aero effects for Windows Live Messenger only. In order to use Messenger Aero Switcher, you should be on Windows Vista or Windows 7 with enabled Aero, and you should have the latest Windows Live Messenger 2009 QFE2 (14.0.8089.0726) installed. Dixipe is a multi-protocol instant messenger that allows you to have all of your contacts in one single place. Dixipe currently supports MSN, Yahoo, Gtalk, AIM and ICQ networks. You can add phone and SMS feature. Dixipe lets you call any land line or cell phone in the word, or sending as many SMS as you want. Dixipe is available for MS Windows or Mac OS. Windows 95/98/NT/2000/ME/XP. 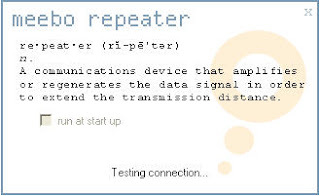 Full duplex sound card, Internet connection of 24.0 kbps or faster, Microphone and speakers (headset recommended for best results).